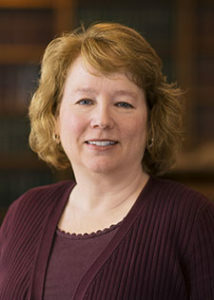 Arline Duffy – Vermont attorney focusing on transactional matters, corporate law, estate planning - Sheehey Furlong & Behm P.C. Arline Duffy joined the firm in 2009 and is a principal of the firm. Arline’s practice focuses largely on transactional matters, as well as corporate law, estate planning, and regulatory compliance. Prior to joining the firm, Arline practiced in the areas of intellectual property, regulatory compliance, contracts, and university policy development and governance at The George Washington University. Regularly advises clients on legal issues related to starting and running a small business. Represents small and large corporate clients in the prosecution of trademark applications, and counsels clients on intellectual property issues including trademark infringement and response to cease and desist letters. Works with non-profit clients on compliance issues, particularly related to federal contracting and grant administration requirements. Regularly represents a Vermont bank before the FDIC on compliance issues and filings related to opening, closing and consolidating branches throughout the state. Regularly advises executors through the smooth administration of complicated estates. She has also represented estate beneficiaries in probate litigation.